A full-scale review of the amount of time roads are closed after serious accidents is urgently needed. Delay in reopening roads costs the economy billions of pounds each year, and the congestion it causes can also lead to further accidents. 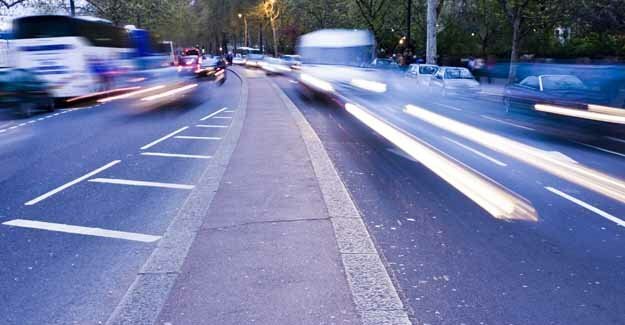 The RAC Foundation believes it is vital police properly investigate crashes where people are killed or seriously injured, but this need has to be set against the requirement to keep traffic moving. Improvements in the way accidents are investigated could benefit both road users and victims’ families. It is estimated road closures caused by accidents account for a quarter of all congestion and cost the country more than £5 billion a year. In the last quarter of 2008 there were 86 closures of English motorways lasting more than three hours, yet for the whole year – across Great Britain – there were only 136 fatal motorway accidents. Roads are often still closed long after an accident has taken place because of police investigations, but very little data is collected to show how many of these investigations translate into successful prosecutions. • The 2007 Police Road Deaths Investigation Manual is based on the principle that all fatal collisions should be investigated as ‘unlawful killings’ until the contrary is proved. • There are currently no national statistics on how many detailed accident investigations take place, nor how many prosecutions result from them. • There does not appear to be a standard practice in deciding when to deploy specialist investigation teams to non-fatal accidents. • A snapshot of four police forces – London, Essex Humberside and Surrey – indicates the number of investigations is around three times the number of actual fatalities. • Police authorities should maintain 24-hour cover by specialist accident investigation teams. • Accidents should be investigated by the nearest team even if it is from a neighbouring force. • Thought should be given to removing the investigation role from individual constabularies and creating a national unit. • The role of investigating an accident site and also managing it, is too much for one team and the responsibilities should be split. • Recovery vehicles should be called in ASAP so they are on site when needed. • The Highways Agency should establish a geographical database of the motorway network linked to roadside markers to be used in conjunction with laser scanning so debris can be referenced and removed more quickly. Irving Yass spent 36 years in government service, in the Departments of Transport and Environment, ending as Director of Planning and Transport at the Government Office for London. He was Director of Transport and then Director of Policy at London First until the end of 2008, since when he has been working as an independent consultant. In October 2008 a family of six was killed when a truck ran into a stationary car. The immediate cause of the accident was a lapse of concentration by the lorry driver but it is arguable that the root cause of the accident was an earlier accident on the same section of motorway that caused the traffic jam in which the car was stopped. It is not clear whether this could have been cleared more quickly.